Our expertise in web application development using ASP.net and Microsoft SQL Server allowed us to successfully deliver Xamarin mobile app development projects using Xamarin platform. Fast & Easy Way to Build Mobile Apps for Multiple Devices! Write once for Android, iOS & Windows. Xamarin Component store – Making it faster and easy to integrate with different services like AWS, Google, Dropbox etc. Xamarin offers enormous flexibility. There is no other platform which allows for cross platform yet native app development for iOS, Android and Windows. 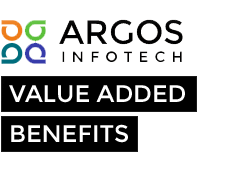 At Argos we have over 15 years of experience building web applications for businesses from real estate, finance, healthcare, staffing, creative, eCommerce and more using ASP.net and SQL Server. So when Xamarin came aboard, it was a natural fit for us. We are extending web applications we built for our clients to mobile. This has allowed them to keep the add their business applications on mobile quickly. Argos is rightly positioned to help you with your mobile application development using Xamarin as a platform. Give us a call with your mobile application development needs at 214-245-4846. We offer flexible engagement models that will reduce the time-to-market for your mobile apps. We offer fixed cost, Hourly Hiring (Full time or Part time).